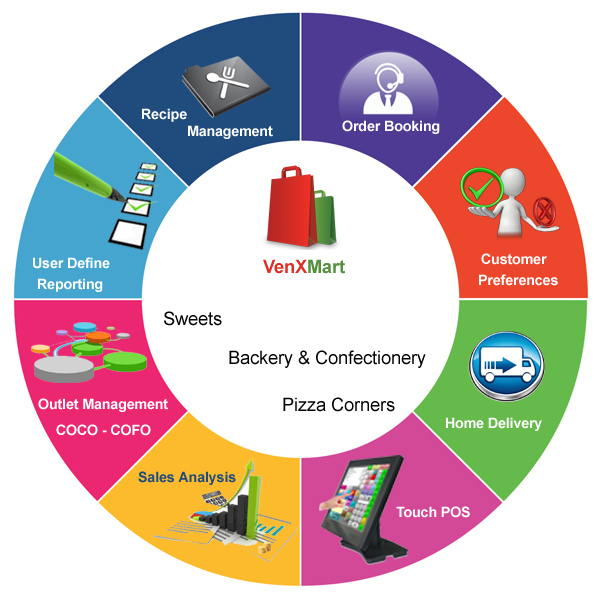 VenXMart is one time solution for all needs of bakery and confectionary shops. Best Integrated functionalities throughout the entire product makes very comfortable to work. 100% perfect solutions for Recipe Management, Home Delivery, and Customer order tracking etc. Capture Customer Preferences such as Shape, Color, more spicy etc. in orders and get them printed on the Order note, as well as bill with additional charges. This only makes your customer believe in the services delivered. Preparation Cost of an item. Daily average stock consumed at kitchen. Daily average stock need at kitchen.